Beer maker Pabst, based outside Chicago, declines to say why it’s relocating to Southern California or how many local jobs it might create. 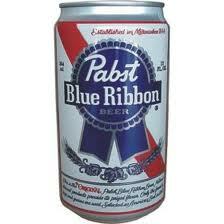 Irony-loving hipsters in Los Angeles, grab a Pabst and give a toast to the maker of one of your favorite beers. 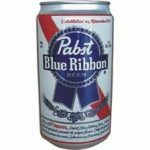 In moving its headquarters to L.A. this summer from a Chicago suburb, Pabst Brewing Co. will bring one of the older brands in the business to a bruised California that has seen quite a few corporate head offices flee the state. The company, purchased last year for about $250 million by billionaire investor C. Dean Metropoulos, declined to comment about the reasons behind the move or how many local jobs it might create. Pabst spokesman Mark Semer said that Metropoulos’ two sons, Daren and Evan, both live in Los Angeles and run the company with their father, who lives in Greenwich, Conn.
Pabst was owned for about two decades by the charitable foundation of the late Los Angeles brewing mogul Paul Kalmanovitz. The Internal Revenue Service ordered the Kalmanovitz Charitable Foundation to sell the company because a federal law barred charities from owning a for-profit business for more than five years.